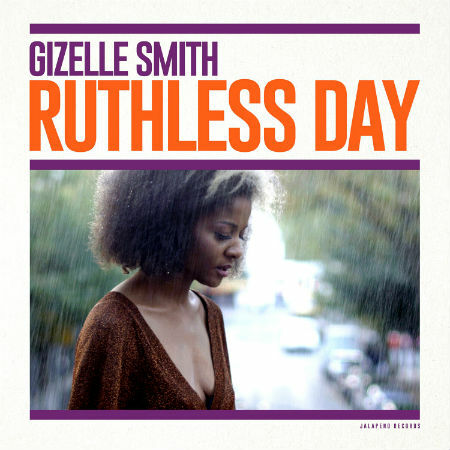 Long-awaited second album “Ruthless Day” by soul queen Gizelle Smith is the sound of a dynamic artist expanding her horizons from the classic aesthetic of her past releases to explore a new brand of modern funk. Armed with a crew of jazz-trained musicians, her long-time collaborator Def Stef on production and song-writing duties, and Stones Throw Records alumni Eric Boss as a special guest on 2 tracks, this album is a fresh and exciting progression of what Gizelle has done so far, building on her musical palette to incorporate more psychedelic and jazzy progressions, bold arrangements and adventurous instrumentation. In addition to Eric and Gizelle‘s duets in the aspirational and moving “Hero” as well as the classic soul of “S.T.A.Y.”, other album highlights include the sheer dynamite funk explosion of opener “Dust”, the psychedelic rock singalong chorus in first single “Sweet Memories”, the swinging 6/8 bass-led rhythms of title track “Ruthless Day” and the beautiful gospel infused neo-soul vocal showcase of closer “Amen”. Expansive and exhilarating, the record ranges from delicate honey dripped soul through psychedelic funk freakouts, complete with strutting beats and emotive lyrics. Gizelle’s energy and personality are undeniable and both shine through in every track on the record. It’s an energetic and harmonically rich, funk record with exciting arrangements that at times remind of Rotary Connection and Cymande in their prime. Yet it’s also undeniably modern and relevant in the vein of artists like Childish Gambino, Thundercat and Mr Jukes.